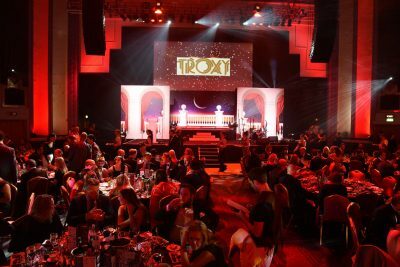 For twelve years now I have been covering the Field Marketing and Brand experience awards in London. It’s a great compliment that the organiser invited me back with my team to cover the awards year after year. Why is this? The answer is simple we always produce the required results on time every time, we are professional during the event and know what we are doing, and last, we obviously we do all this at a competitive price. 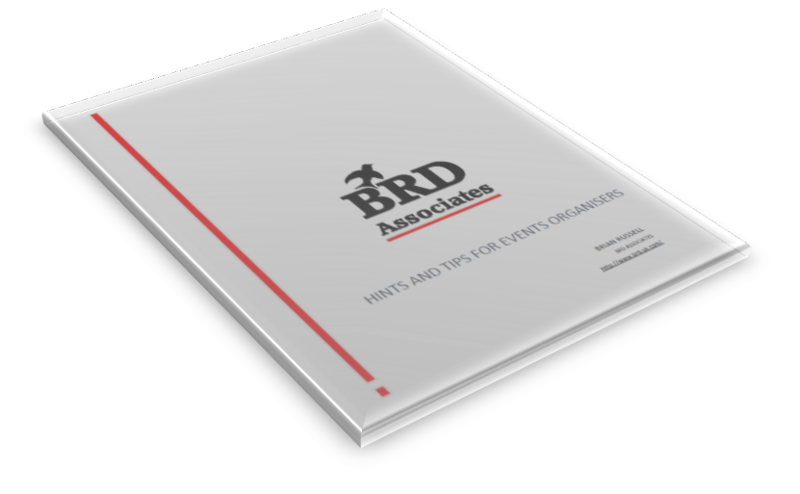 There is no substitute for experience, and an experienced event organiser will rely on a good team to support them. An event run people who all know their jobs obviously will run a lot smoother than one where everyone is requiring direction at every turn. 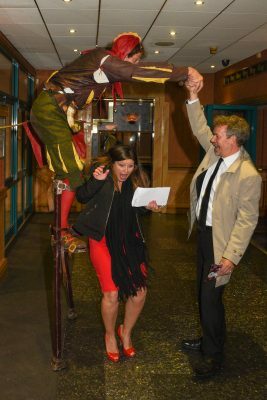 Of course our job as photographers on an award night like this is to be in the right place at the right time. This couldn’t be done without a good written running schedule. The schedule lists times and who needs to be where and when. Without it the most important part of the evening – the meal could get ruined by delay. As a photographer I am always aware that the only really immoveable portion of an event is a meal, delay that too much and either it causes dissatisfaction for the guests because it isn’t at it’s best or in some cases a lengthy delay in the food can cause the guests to drink too much and result in a rowdy award presentation. The variables in an event like the Field Marketing and Brand Experience awards is the host and sponsors. The host can of course make or break an event. I’ve seen some over the years that have bombed for as opposing reasons as being too strict with the audience and not strict enough. Professionalism in judging the mood of the crowd is critical. 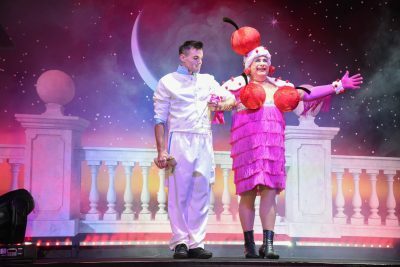 This year we had Christopher Biggins, a trooper of the old style who because the theme was Pantomime attended in full Panto Dame regalia. The crowd warmed to him immediately and he carried them professionally through the night with only a slight overrun because he was so popular, people wanted to shake his hand or have a selfie with him – a strange phenomenon when you consider the whole event was being photographed professionally and being made available to all. With the change of sponsors each year we get different promotional attractions, 3D camera set ups, 3D printing or people and displays of all sorts. 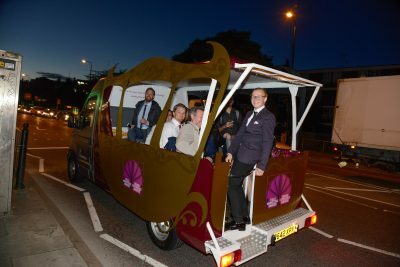 This year we had the added complication of a themed truck to transport the guests from the local DLR station to the venue. Of course the organiser needed images of that which was complicated in the sense that we had to be outside the venue when the truck arrived! So quite a lot of time was spent popping in and out of the venue and waiting around when we really would have preferred to be in covering the performers interacting with the guests at the pre-dinner drinks. Of course having two photographers covering the event made this possible, and we achieved the desired pictures. 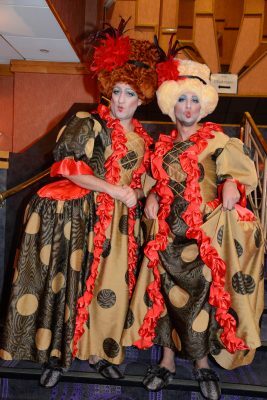 I mentioned the performers, the panto theme gave ample scope for some really good interactive fun with performers dressed as panto dames, a Fool who had plenty of tricks including some of the best stilt walking mayhem in a crowded drinking area I’ve ever seen. These all produce wonderful settings for a photographer to get guest interaction and really show how much fun is being had an event.